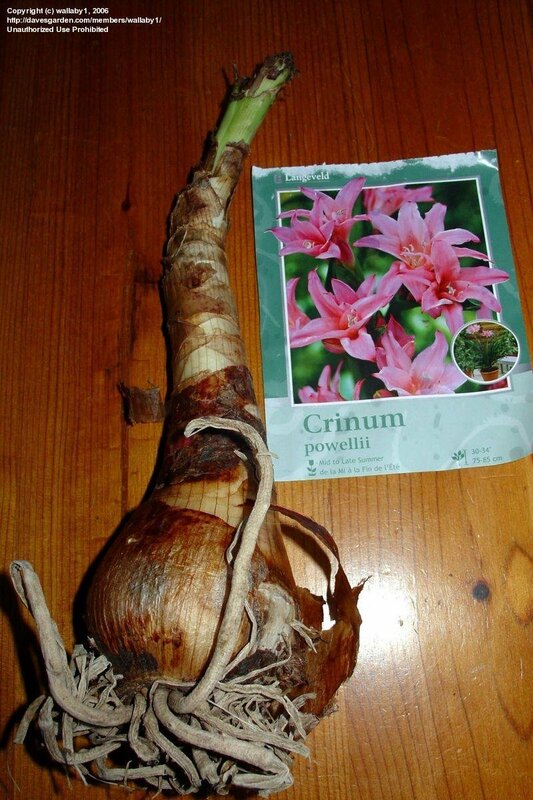 A large bulb I recently purchased. 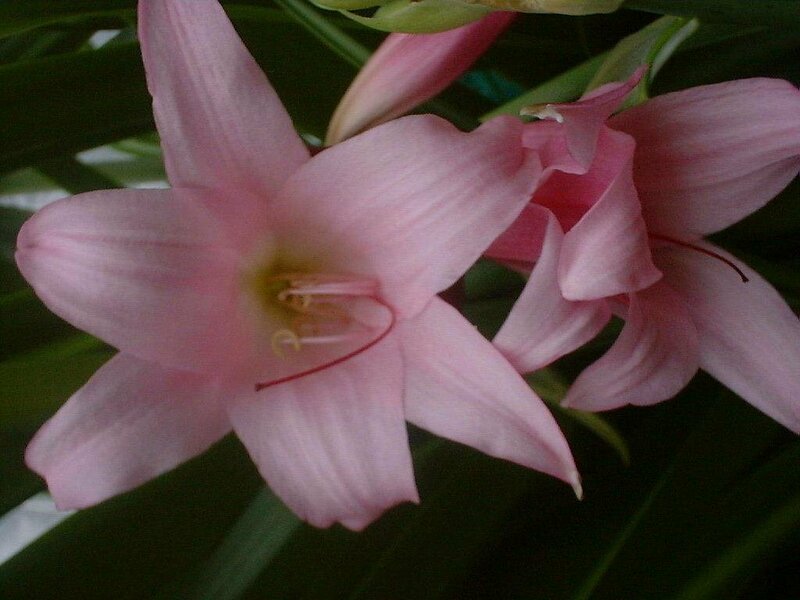 This is one of t he darker pink forms of this plant. 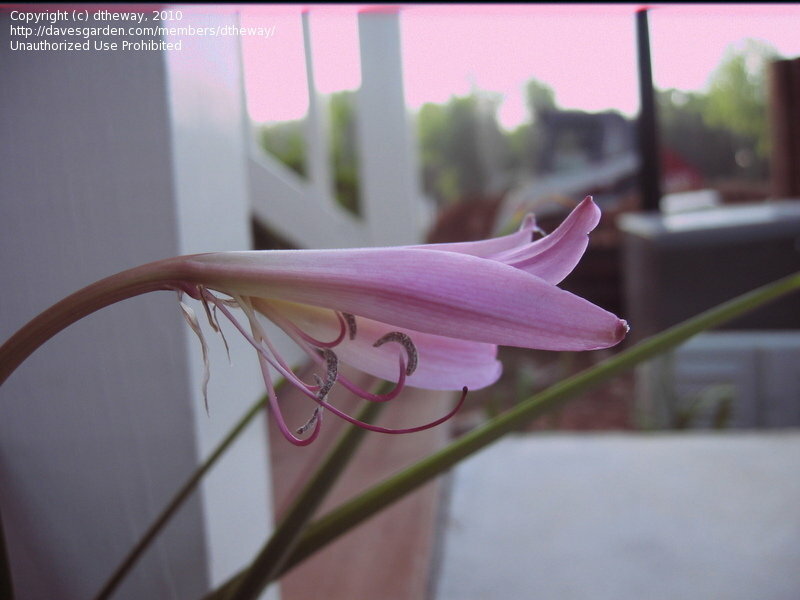 It's growing in a 3 gallon pot and repeats its bloom. 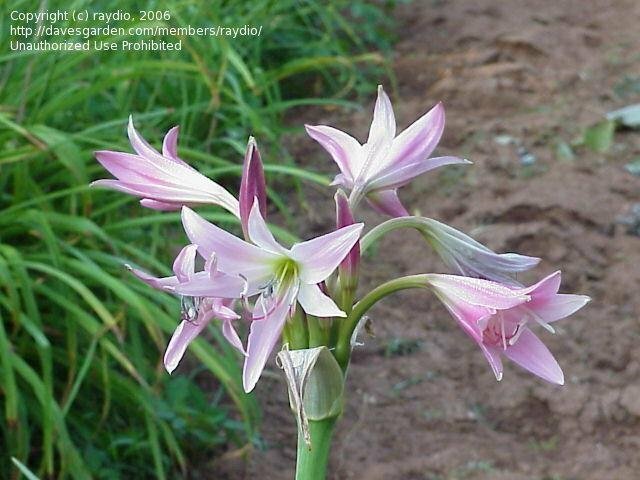 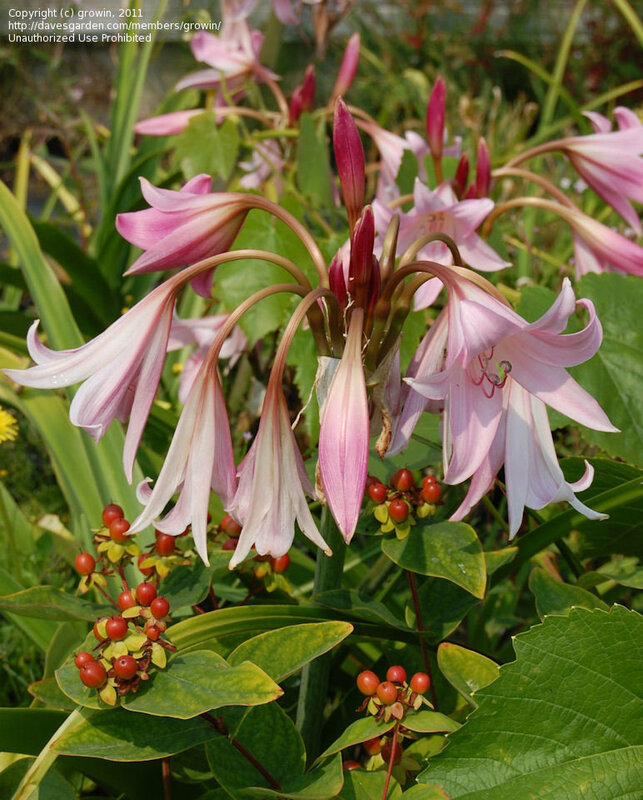 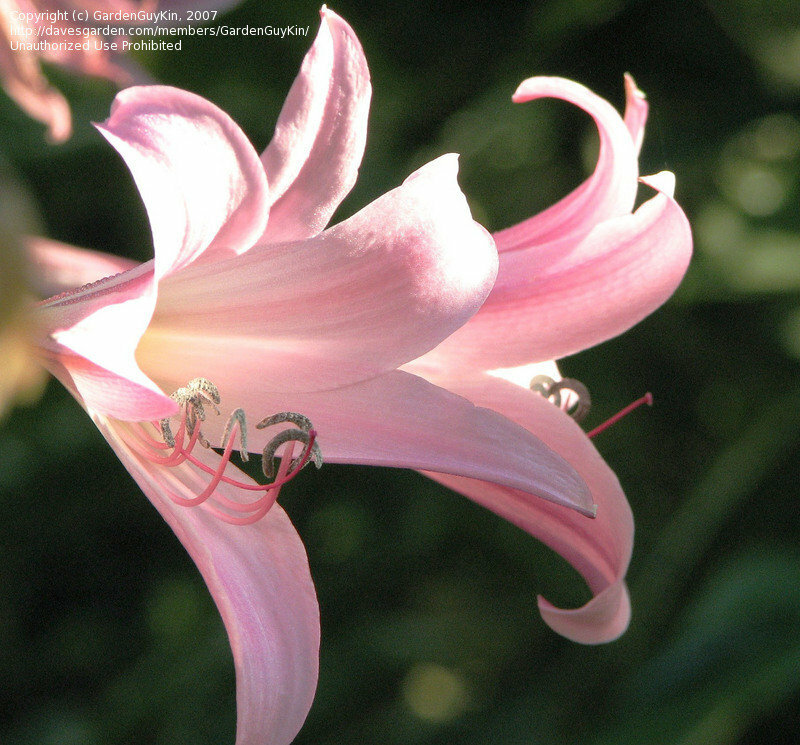 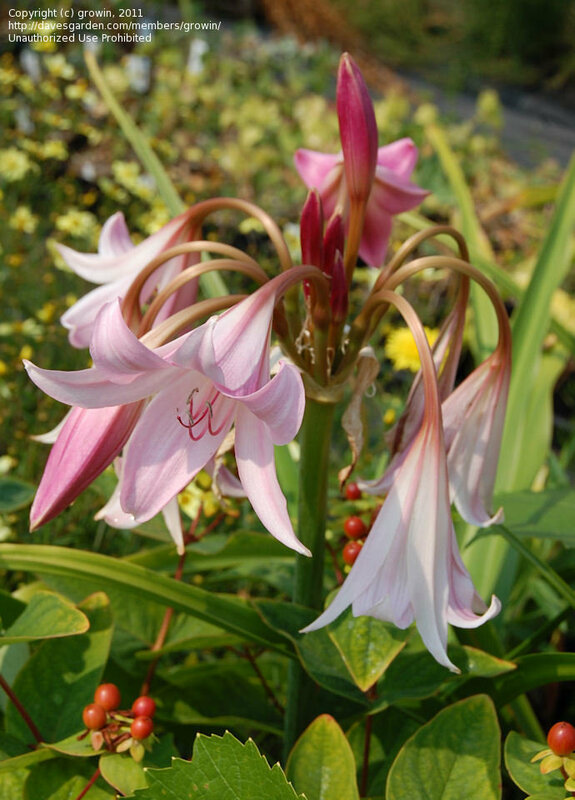 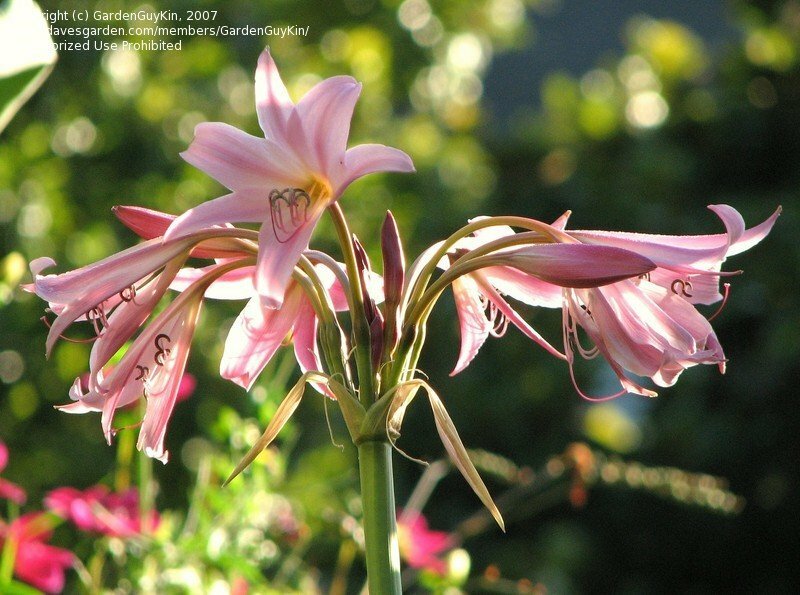 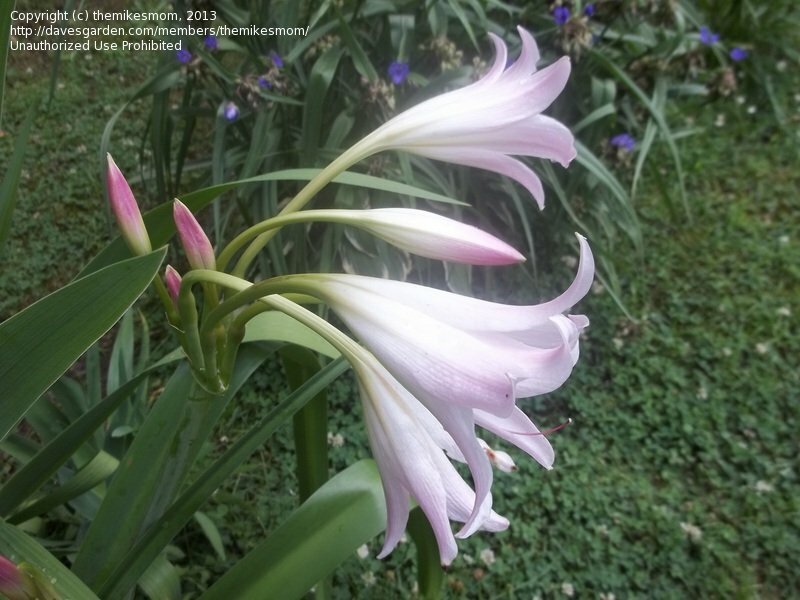 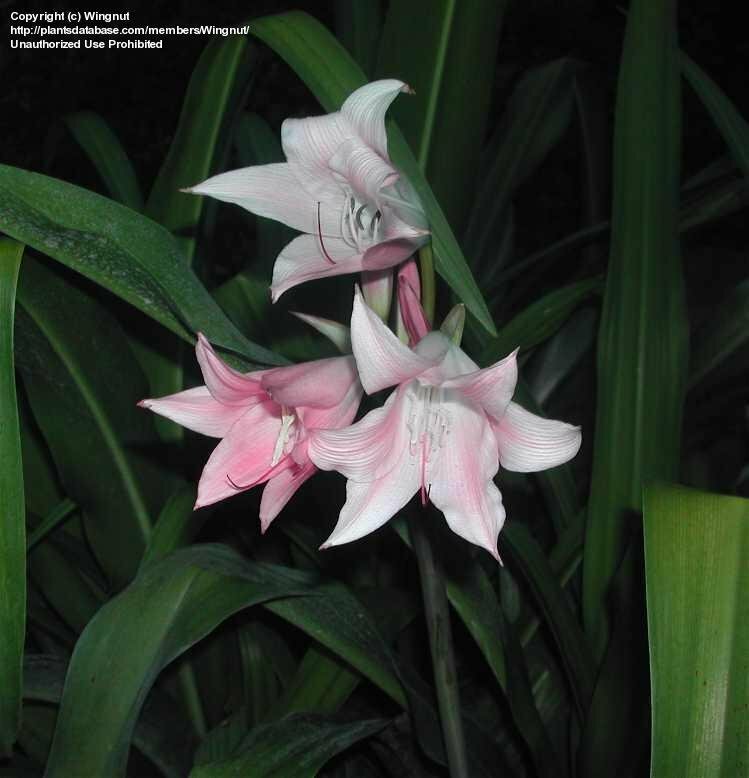 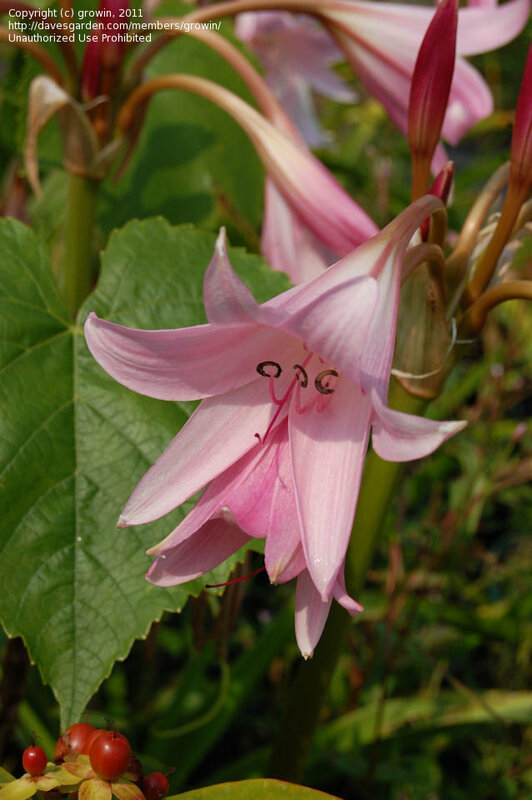 A fine hardy "workhorse" of a Crinum. 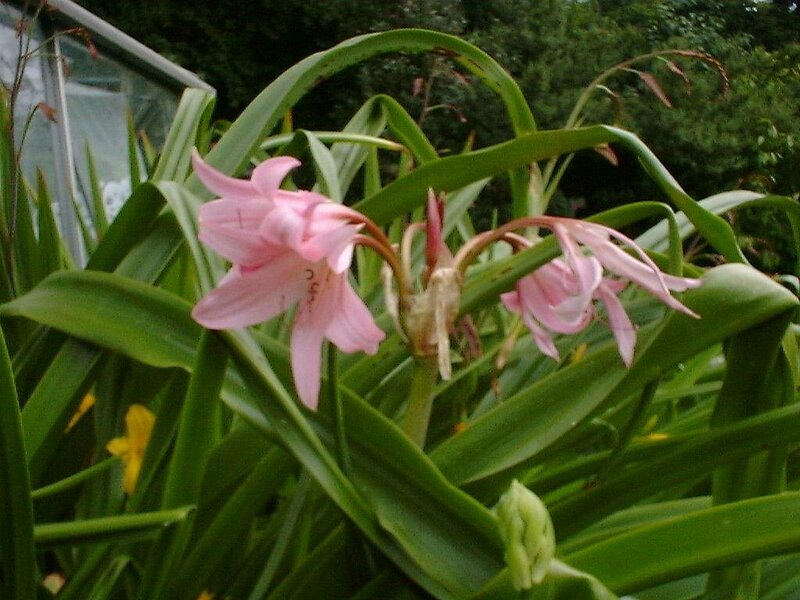 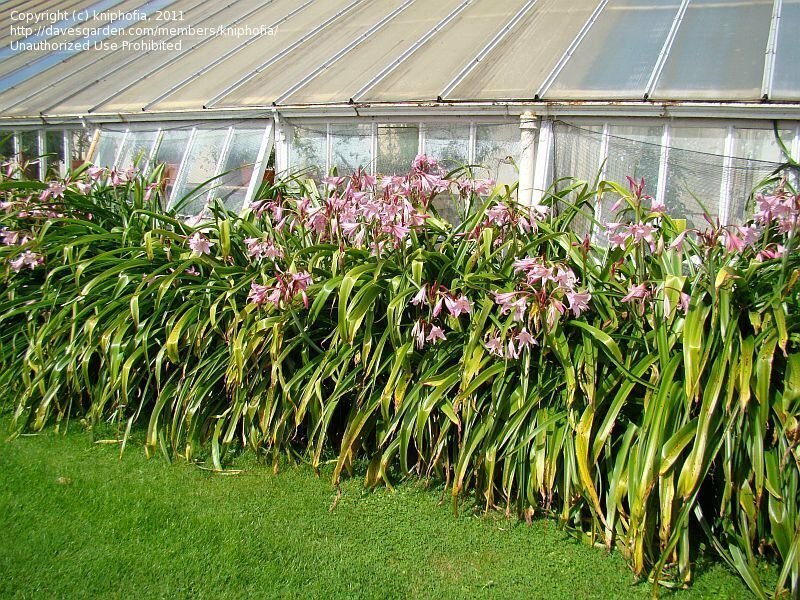 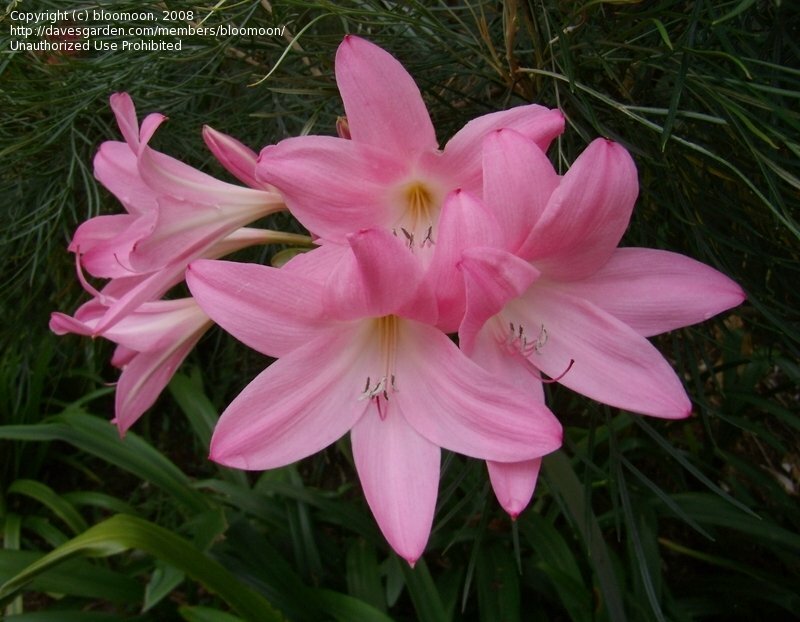 Very easy to grow and can bloom reliably even under poor cultivation. 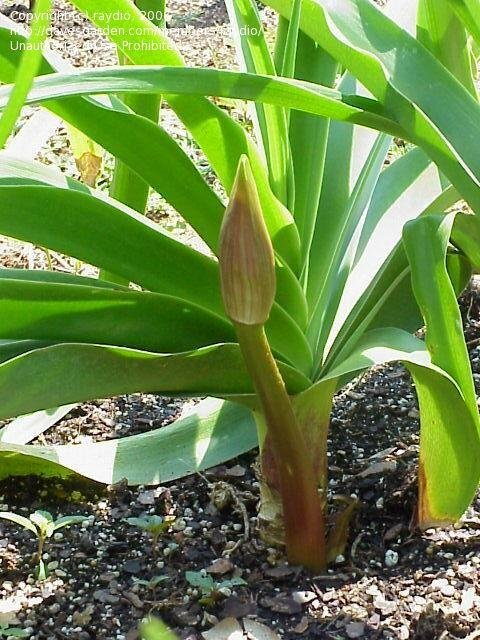 Plant detail of emerging scape. 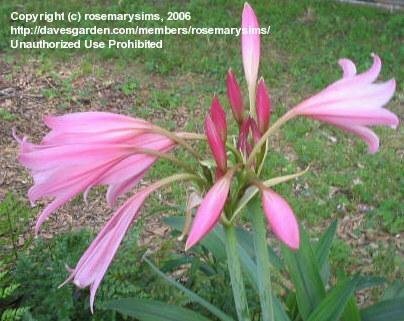 Mine return every year in zone 7b without any protection at all. 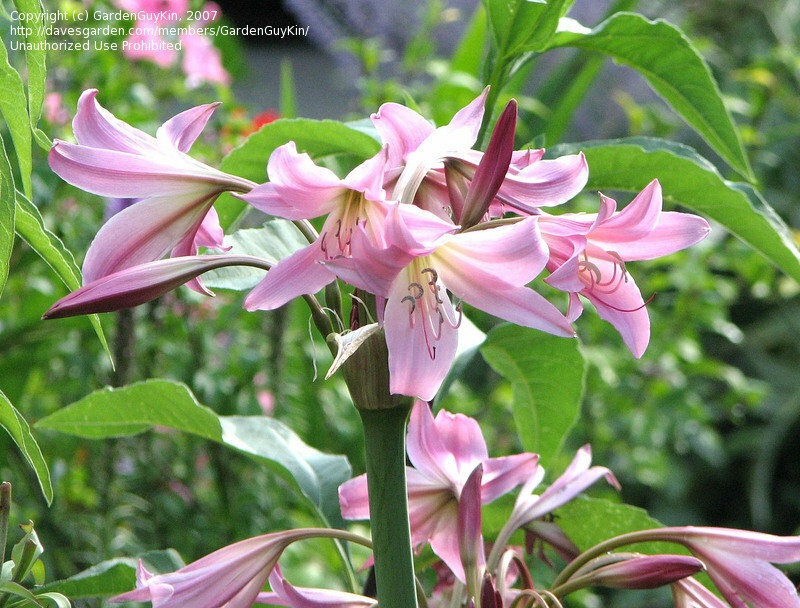 What a trooper! 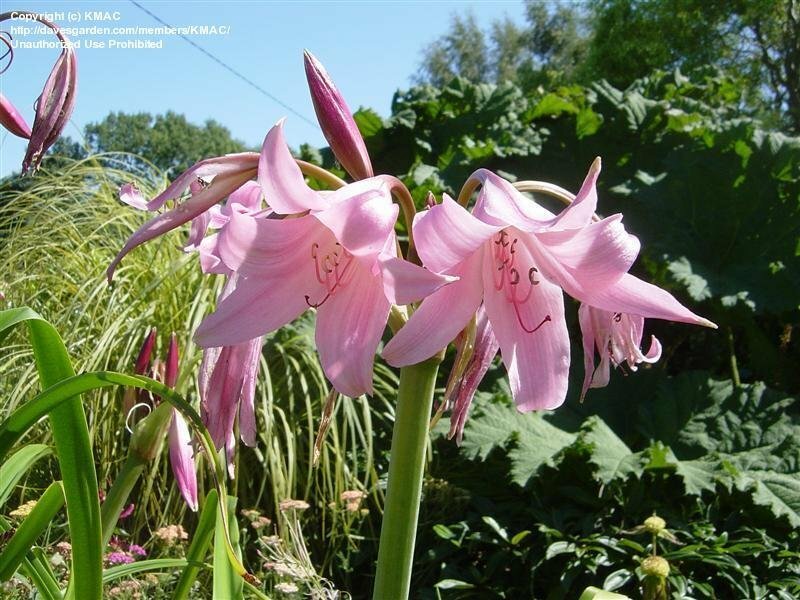 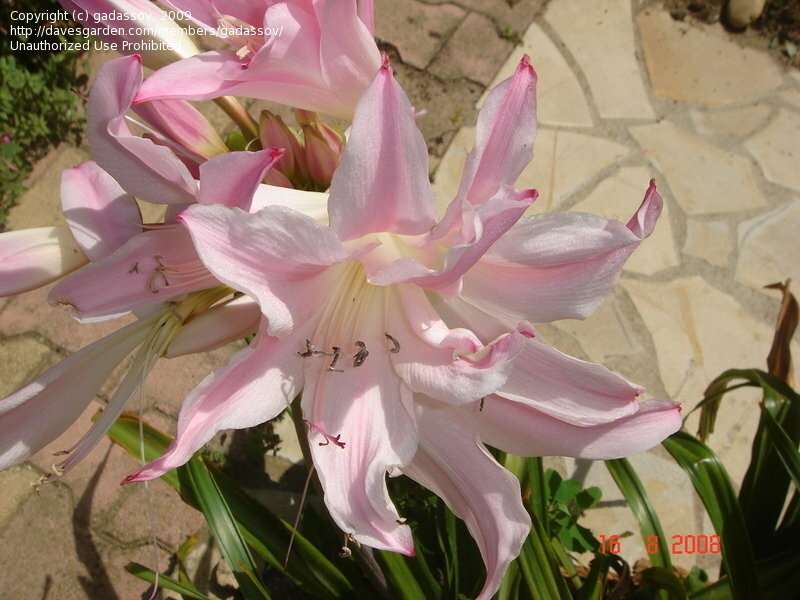 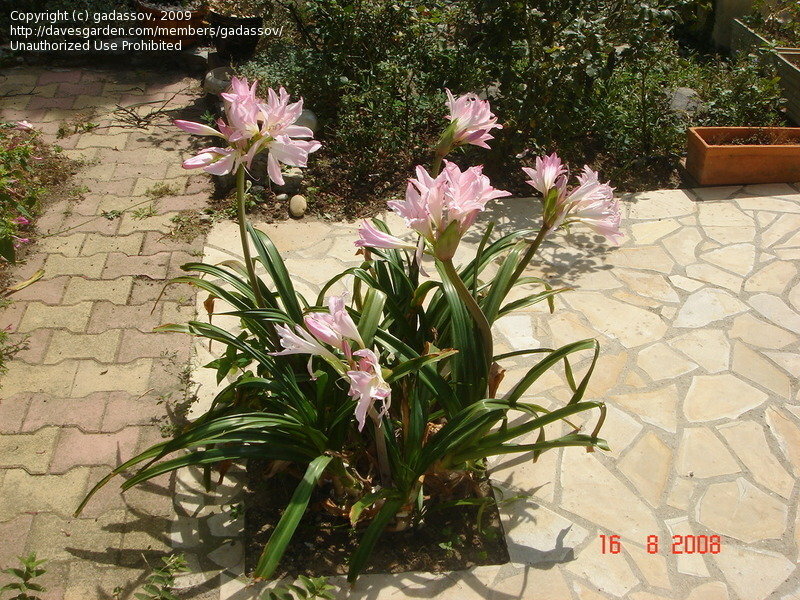 A beautiful accent plant, this bulb was moved 18 months earlier, from where it had never flowered.